Plaza OB/GYN is excited to welcome Dr. Rahman to our practice of outstanding physicians in August 2016. "We are extremely excited to have Dr. Rahman join our practice," said Dr. Isam Balat, M.D. "She is extremely dedicated to women's health and up to date on all recent advances in obstetrics and gynecology." Plaza OB/GYN is pleased to announce that Dr. Mahnaz Rahman, M.D. has joined its Houston practice. Beginning August 2016, Dr. Rahman will be accepting new patients at Plaza OB/GYN's state-of-the-art facilities located between Hermann Park and the Museum District in the Park Binz building. "We are extremely excited to have Dr. Rahman join our practice," said Dr. Isam Balat, M.D., who founded Plaza OB/GYN in 1998. "She is extremely dedicated to women's health and up to date on all recent advances in obstetrics and gynecology. We know that she will be an excellent addition to the Plaza OB/GYN family." 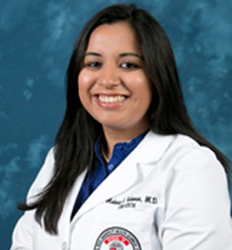 Dr. Rahman received her medical training and completed her residency in Obstetrics & Gynecology at the Texas Tech Health Sciences Center in Lubbock, Texas. Throughout her training, she was a recipient of numerous awards including serving as Administrative Chief Resident in her senior year. Her areas of interest includes obstetrics, gynecology, primary care, and infertility. About Plaza OB/GYN Associates, P.A. Serving Houston since 1998, Plaza OB/GYN was founded by one of Houston's top OB/GYNs Dr. Isam Balat, M.D. Plaza OB-GYN provides compassionate, state-of-the-art gynecological and obstetrical care for women, including Well Women exams, obstetrics, minimally invasive and in-office procedures, and bio-identical hormone replacement therapy. Operating at the Binz Surgery Center, Plaza OB-GYN is affiliated with five hospitals in the Houston Area and the Binz Weight Loss Center.